An international rights group voiced concern over secret executions of Ahwazi Arabs In Iran. 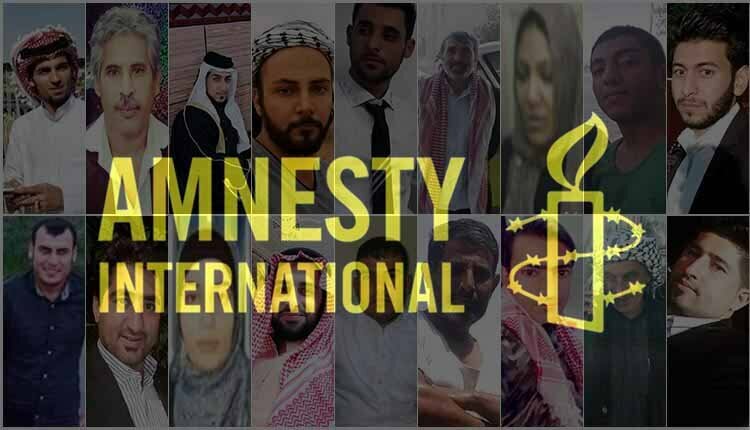 Amnesty International made the call on November 13 urging Iranian authorities to immediately provide information about hundreds of members of the Arab ethnic minority who have reportedly being held incommunicado following a deadly attack in the southwestern city of Ahwaz in September. Amnesty said it had learned that in the last few days, 22 men, including civil society activist Mohammad Momeni Timas, have been killed in secret. Up to 600 Ahwazi Arabs have been detained incommunicado since September 24, according to Amnesty International, in a wave of arrests following a deadly armed attack that took place in Ahwaz, Khuzestan province, two days earlier. One of those reported to have been secretly executed is Ahmad Heydari, a 30-year-old ceramics shopkeeper who was arrested within a few days of the armed attack in Ahwaz. His family heard no news of his fate or whereabouts until 11 November, when they received a telephone call summoning them to the information center of the Ministry of Intelligence in Ahwaz. There, they were given his death certificate and told he had been executed on 8 November. Khuzestan Province’s governor told the state-run Islamic Republic News Agency on November 12, that reports of 22 detainees being executed were “complete lies,” and said that those arrested in connection with the Ahwaz attack had been charged. Amnesty International called on the Iranian authorities to reveal the whereabouts of all the detainees without further delay and provide information about what legal procedures have taken place to date. “In the absence of any information about the whereabouts of the detainees feared killed, the governor’s blanket denial will provide little comfort to families who have been unable to see or hear from their relatives since their arrests,” Luther said. The international rights group also called on the authorities to release immediately and unconditionally any Ahwazi Arabs held solely for peacefully exercising their right to freedom of expression, association or peaceful assembly or solely on account of their ethnic identity. “While the Iranian authorities have a duty to bring to justice anyone suspected of criminal responsibility for the attack in Ahwaz in fair trials, they must not use this as an excuse to carry out a purge against members of Iran’s persecuted Ahwazi Arab ethnic minority,” said Philip Luther.